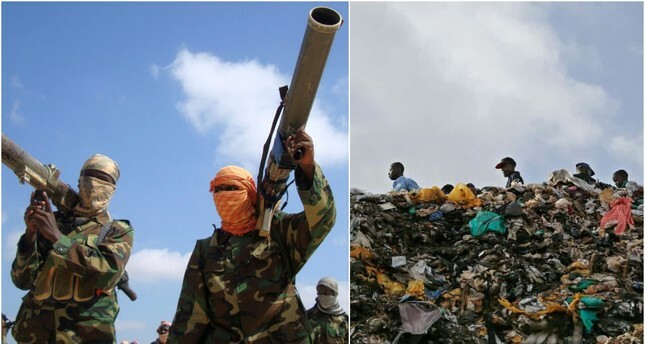 The Al-Qaida linked al-Shabab has banned single use plastic bags in territories it controls, according to an announcement made on the terror organization's Radio Andalus. Deeming plastic bags a "serious threat to the well-being of humans and animals alike," with the terrorists declared the new measure on July 3, International Plastic Bag Free Day. Jubaland regional leader Mohammed Abu Abdullah, who announced the ban on the radio, said that the use of plastic bags was wasteful, and therefore was bad for the environment. The terrorist leader also banned the logging of several rare tree species in the same broadcast. How the militant group will enforce the bans is still unclear but civilians are expected to obey the rules out of fear due to the group's violent nature. The group's efforts to go "green" have been deemed hypocritical and ironic by many as its members have slaughtered thousands of innocent people, abducted hundreds of children and women and sexually assaulted them. Similarly, the Taliban militant group in Afghanistan had called on Afghans to plant more trees for 'worldly and other-worldly good' in 2017. Al-Shabab militants have been fighting Somalia's internationally recognized government for control of the country since the group was ousted from Mogadishu in 2011 by African Union-led forces.